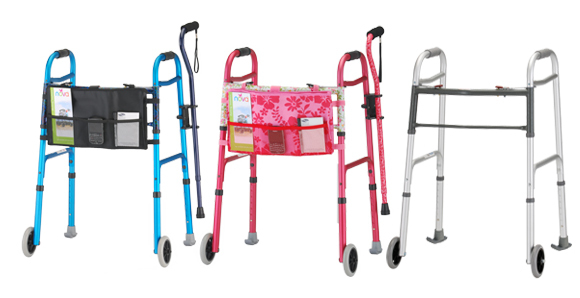 Everyone deserves to walk better and this means adding accessories to every Folding Walker. Walkers Skis are a must because dirty tennis balls are not an option. 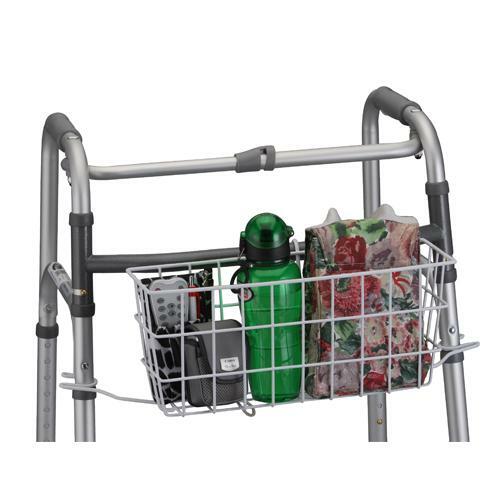 Since your mobility is your lifestyle great accessories such as cup holders, food trays, baskets and flashlights make life better, easier and fun. • No more tennis balls! Get Walker Skis! NOVA Walkers Skis are a must for any folding walker. They attach easily on the rear legs to allow the walker to smoothly glide over surfaces, door jams and other terrains. The durable plastic skis last much longer than tennis balls and other glide options. Unlike tennis balls, they also do not track or collect dirt and germs from the ground. 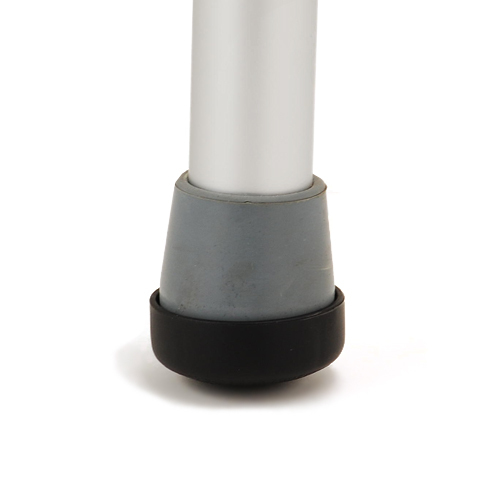 The attached rubber tip simply attaches to the tube of the walker leg – no tools required. 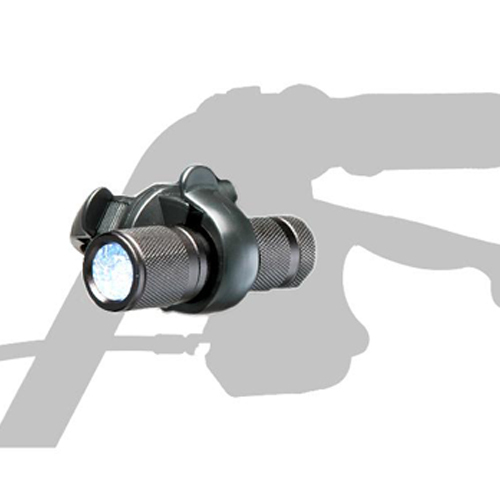 Fits all 1″ tube shaft walkers. We love accessories because they give you more options, features, style and pizzazz. They also make life a lot easier, smoother and convenient. Make your NOVA all about you, your options and your lifestyle by adding great accessories. 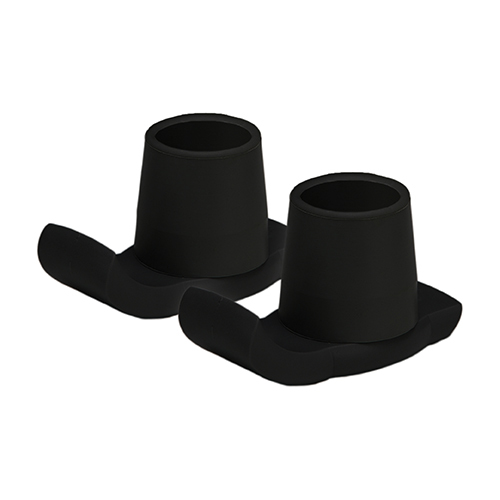 Fits all 7/8″ tube shaft walkers. 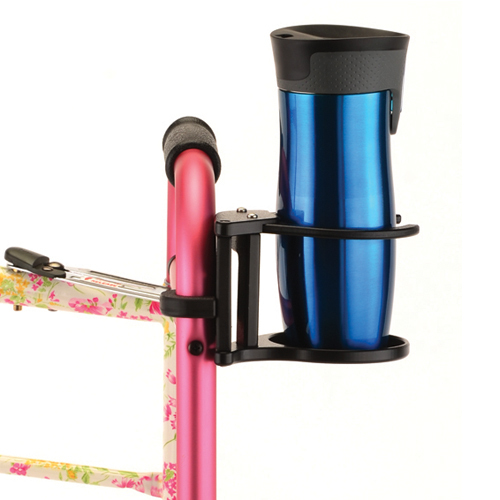 The Cup Holder CH-2000 attaches easily to all walkers, wheelchairs, bed rails, and transport chairs. 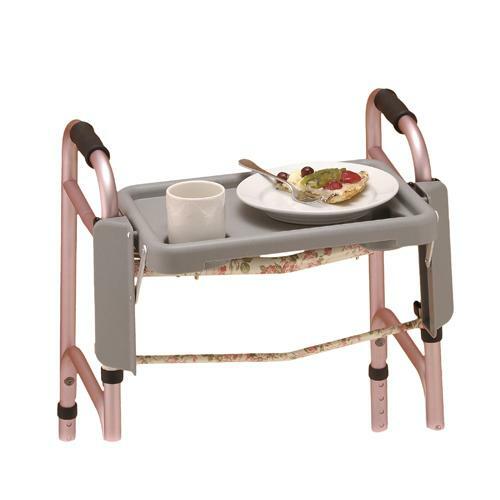 The tray for folding walkers 4080 and 4090 is a convenient way to transport food and many items easily. 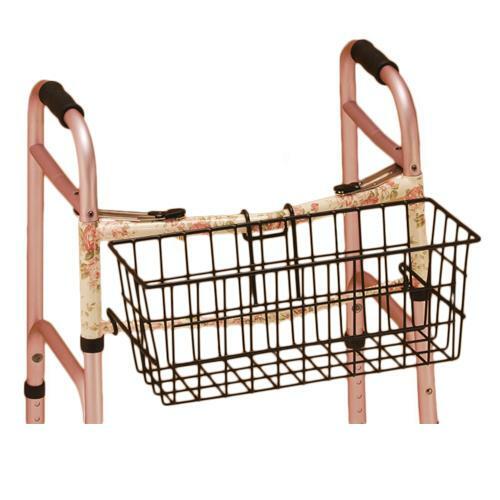 The basket attaches to the front of folding walkers. 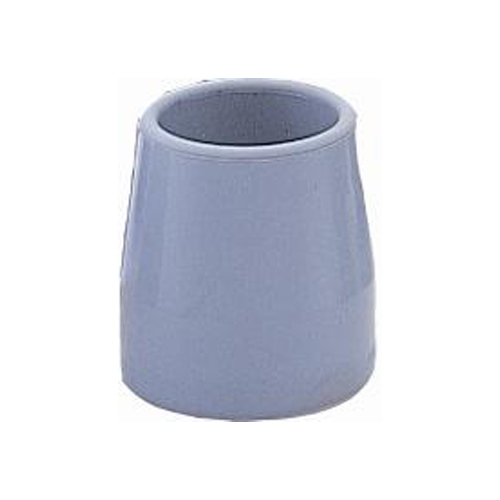 It conveniently stores personal items and is a great help during errands. The basket is 9.5″ in length, 7.25″ in height, and 18″ wide. Your cane finally has a home! 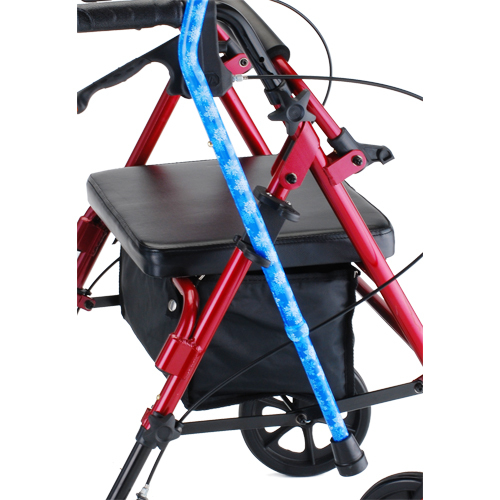 Now you can truly maximize your mobility having both your walker and cane – together. No more struggling with how or where to place your cane with your walker. 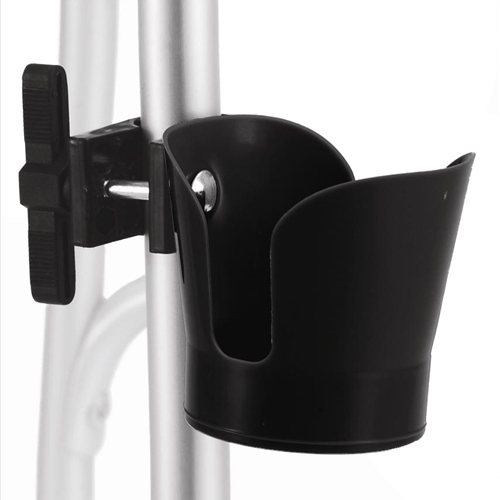 Nova’s innovative Cane Holder attaches to any walker and provides a perfect and secure home for your cane. 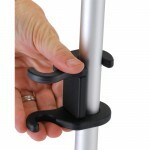 It is so easy to remove your cane for use, and just as easy to place it back in its holder. 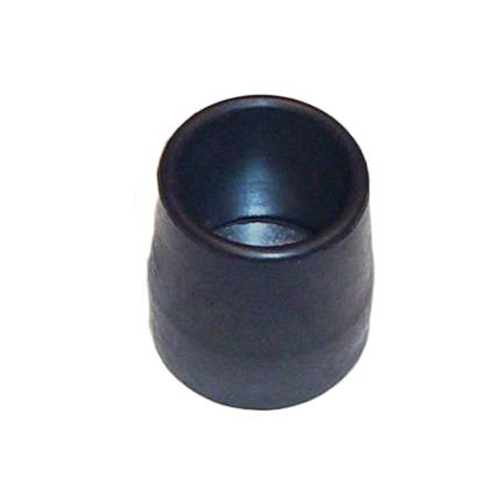 The Cane Holder only fits canes with a 7/8” diameter. 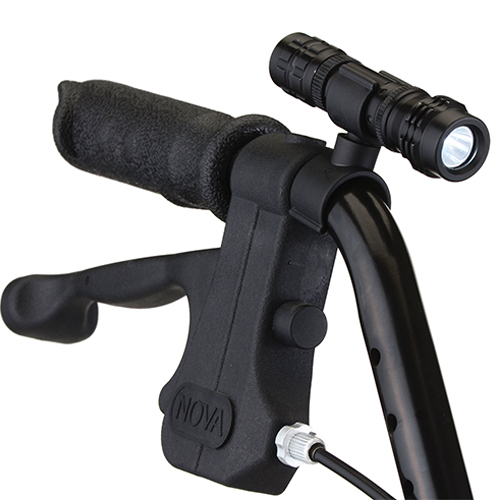 This is just one more way to BLING your ride with Nova’s great mobility accessories. 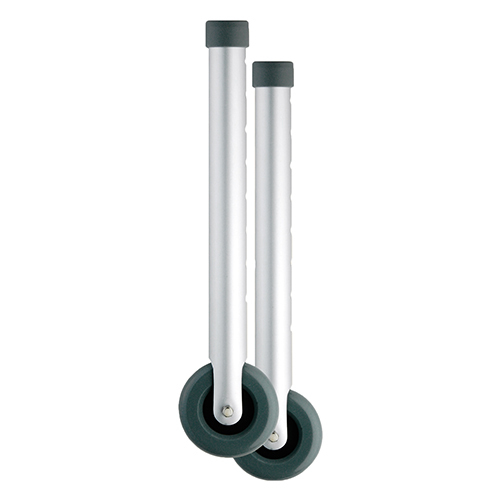 The 3” Wheels allow for a smoother ride over uneven surfaces when added to the front legs of a Folding Walker. 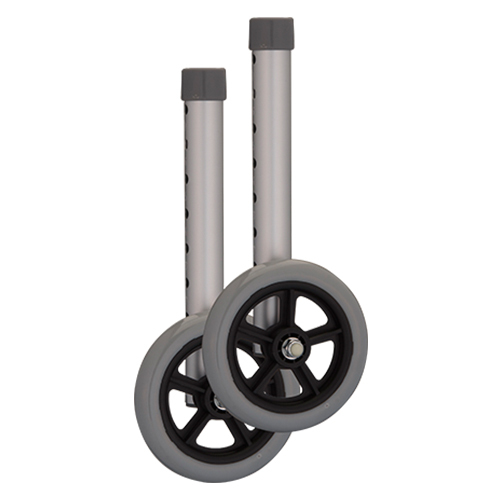 The 5” Wheels allow for a smoother ride over uneven surfaces when added to the front legs of a Folding Walker. 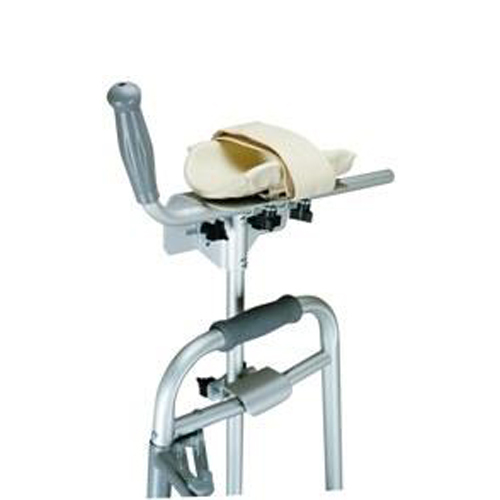 The Glide Brakes can be added to the rear legs of a Folding Walker to aid in slowing down or stopping. The rubber tip glides along surfaces until weight is applied to the Folding Walker handles which will then activate the brake. 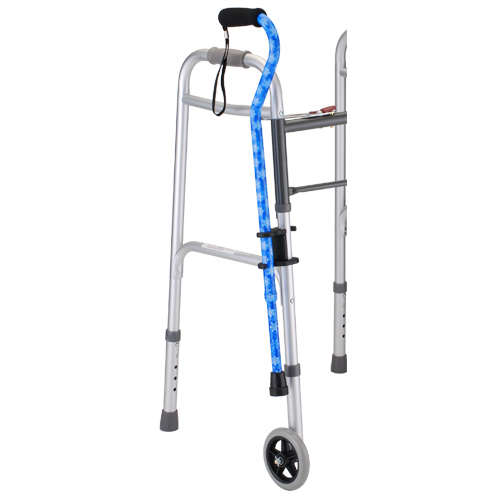 Fits 4070/4090 series Folding Walkers. 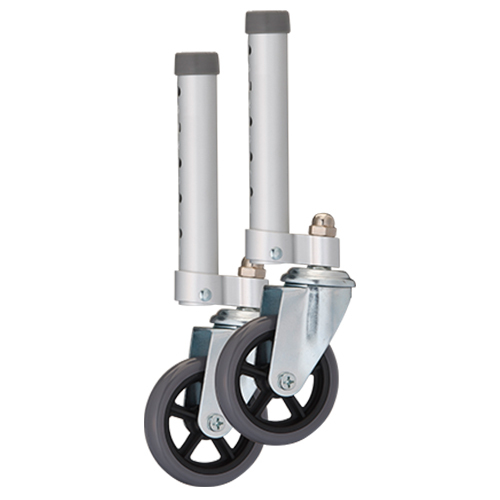 The 3” Swivel Wheels allow for a smoother ride over uneven surfaces when added to the front legs of a Folding Walker. 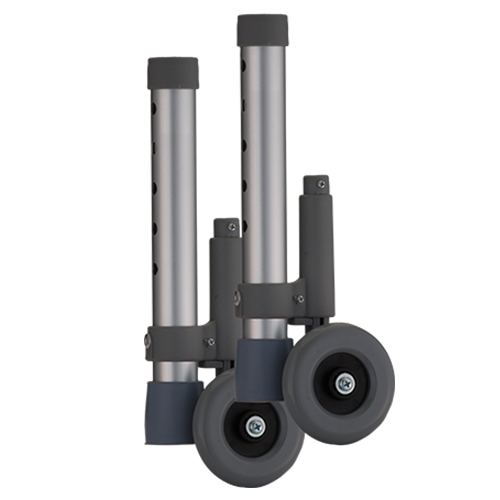 Fits 4070/4090 series Folding Walkers. 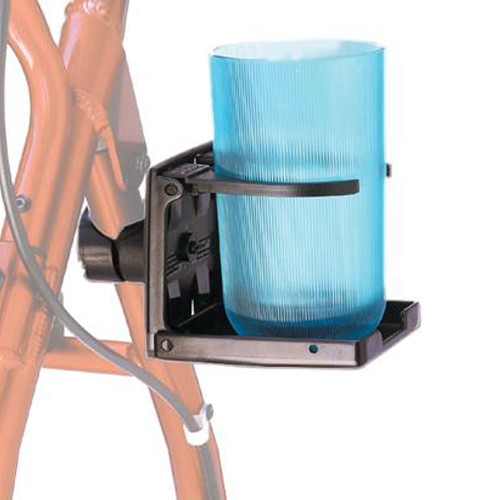 The Glide Brakes with 3” Wheels can be added to the rear legs of a Folding Walker to aid in slowing down or stopping. 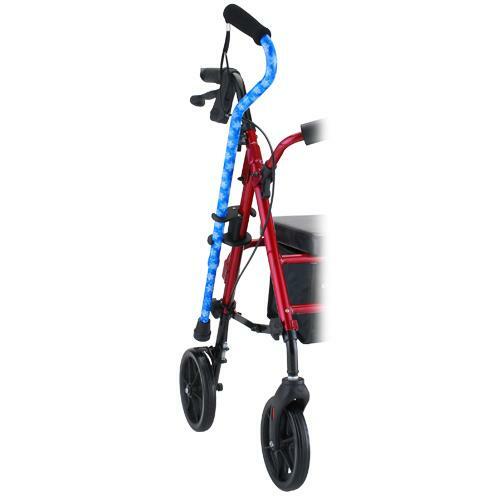 The 3” wheels glide along surfaces until weight is applied to the Folding Walker handles which will then activate the brake. 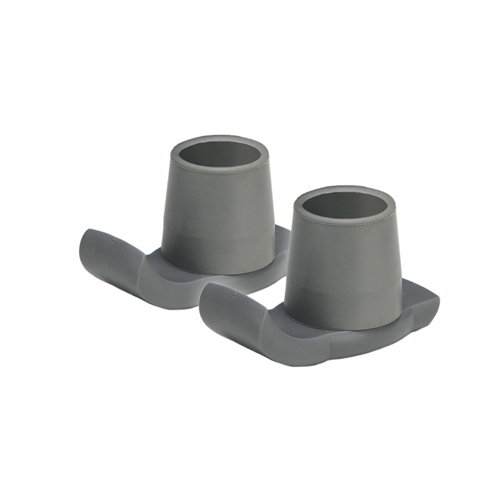 Fits 4070/4090 series Folding Walkers. 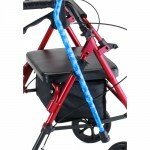 The Extra Tall Leg Extensions can be added to the front and/or rear legs of a Folding Walker. 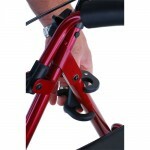 They add 3 additional inches of height to the Folding Walker. 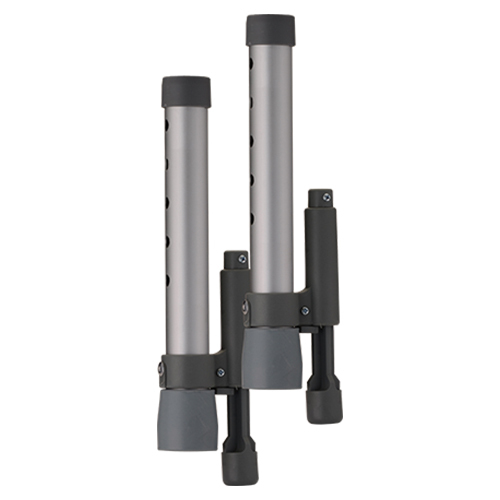 Fits 4070/4090 series Folding Walkers. 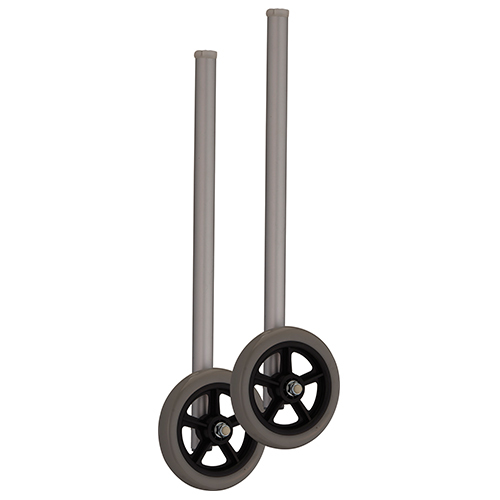 The 3” Wheels with Extra Tall Shaft can be added to the front legs of a Folding Walker. When combined with the Extra Tall Leg Extensions as the rear legs, they add 3 additional inches of height to the Folding Walker. 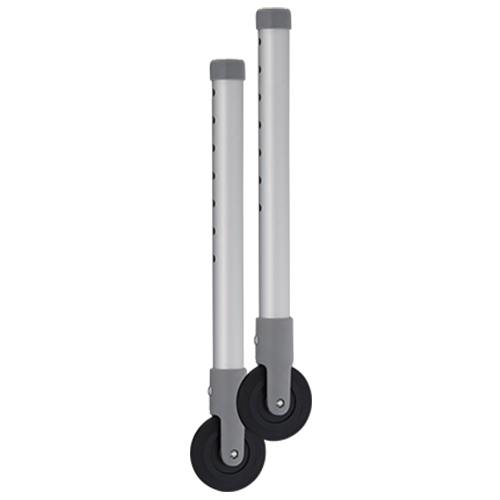 Fits 4070/4090 series Folding Walkers. 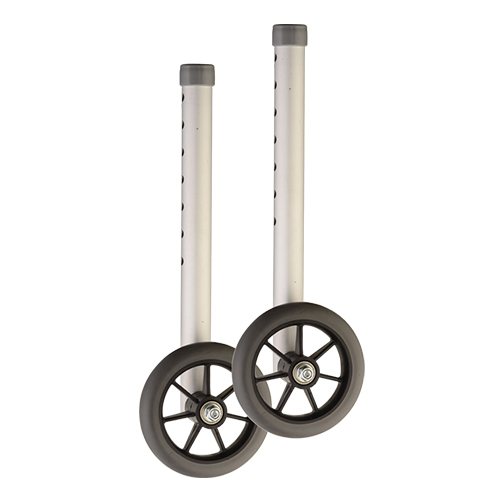 The 5” Wheels with Extra Tall Shaft can be added to the front legs of a Folding Walker. When combined with the Extra Tall Leg Extensions as the rear legs, they add 3 additional inches of height to the Folding Walker. 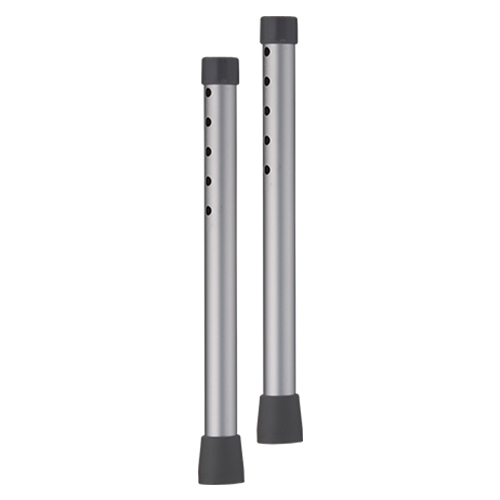 Fits 4070/4090 series Folding Walkers. 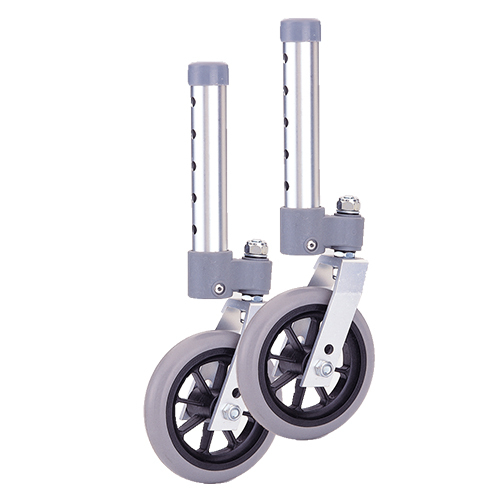 The 5” Heavy Duty Wheels allow for a smoother ride over uneven surfaces when added to the front legs of a 4095 Folding Walker.